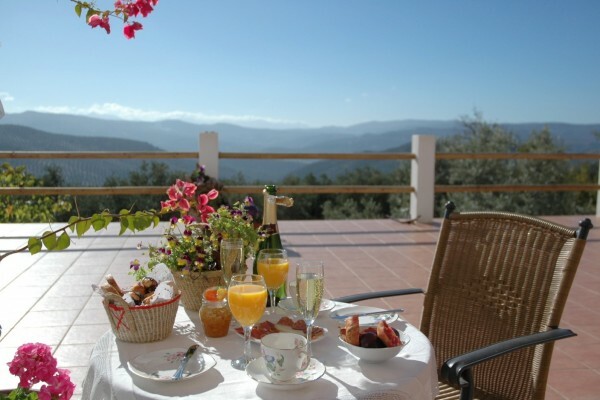 Do you want a stunning location for your holiday, gourmet food, luxury accommodation and a perfect base from which to explore the sights of Andalucia, then come to Brazos Abiertos. We are in a perfect location for those of you who want to explore Andalucia and then return to a haven of relaxation. We pride ourselves on providing a more intimate experience for your holiday, giving exceptional levels of service tailored to meet your individual needs. Brazos Abiertos is ideally placed for easy access to the motorway network. The airports of Malaga and Granada are just 60 minutes away. There are magnificent places to visit such as The Alhambra Palace, Seville, Cordoba and all within 90 minutes. If you would like to spend a day on the beach at the Costa del Sol you can be there in 60 minutes. All this means that you can spend lazy days around the heated pool and still be in a great location to visit some of the worlds best historical sites. 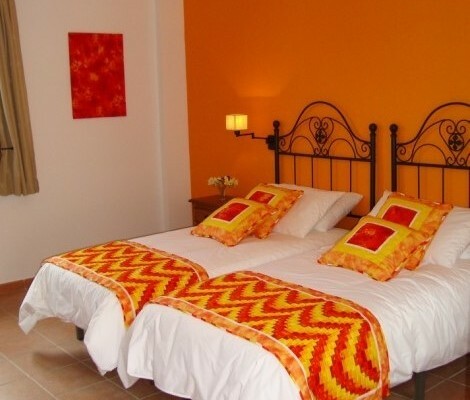 Each bedroom has a flat screen monitor with DVD, tea & coffee making facilities and a hair dryer. You will also find top quality bath and pool towels in your wardrobe. Each room has a highly efficient ceiling fan and reflective window glass. All our bathrooms are beautiful wet rooms, with luxury tiling and the choice of a hand held or rain forest deluge shower. The shower rooms are fitted with a large shower area and totally non slip floors. Deluxe towels and complementary bathroom products are supplied. For breakfast, we offer a selection of breads, cereals, Greek yoghurt and honey and of course juice, teas and coffees. We also offer local hams, cheeses and seasonal fruits. Given notice, we are happy to cater to special dietary requirements. No experiences yet with Brazos Abiertos Casa Rural. Be the first! Did you stay in Brazos Abiertos Casa Rural? Let us know what you thought about it and help others to make the right choice! * I confirm having stayed in Brazos Abiertos Casa Rural. 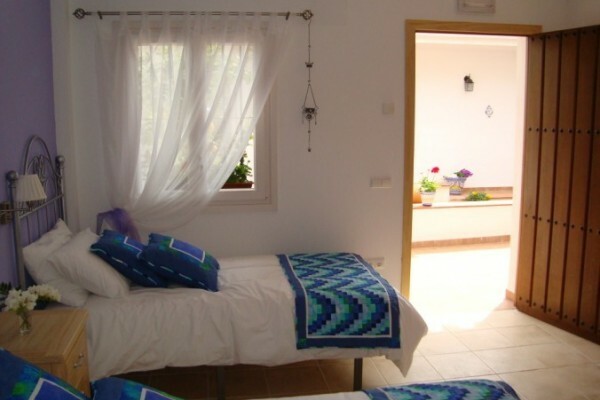 Find other bed & breakfasts in Iznájar, all bed & breakfasts in Córdoba or all bed & breakfasts in Andalusia.